The second round of the Last 32 started to put things in place in the standings as only four more games are ahead of us in this phase. When the dust from all battles settled however, two players with great performances emerged as the best of the week, as Anthony Randolph of Lokomotiv Kuban Krasnodar and Halil Kanacevic of Union Olimpija Ljubljana earned weekly MVP honors with a performance index rating of 36 each. 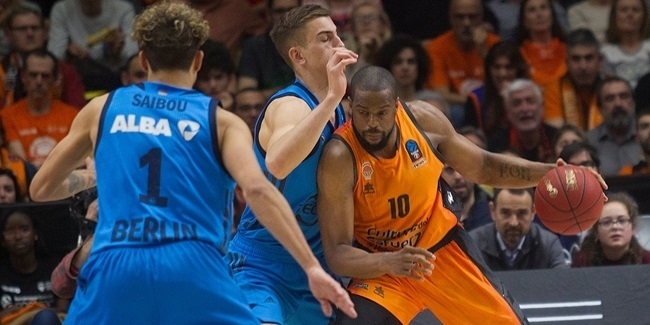 Randolph led Loko with 18 points, 12 rebounds, 5 assists, 5 steals, 3 blocks and 4 drawn fouls in a very complete performance that granted his team an important home win over Valencia Basket. Olimpija won on the road against JDA Dijon as Kanacevic led the team with his 27 points, 13 rebounds and 2 steals. Third in the race this week was Paris Levallois's Blake Schilb with his performance index rating of 33 thanks to 24 points and 6 rebounds. The best individual performance index rating this week, 38, was for Engin Atsur of Besiktas Integral Forex Istanbul, but in a losing effort against Paris, so he was not eligible for the accolade. 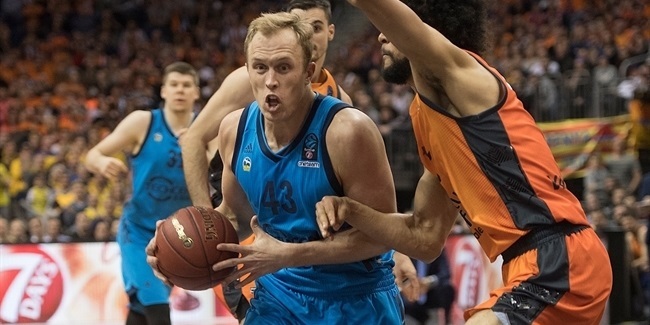 Atsur was the top scorer of the week with his 29 points against Paris and second was Kanacevic with his 27. 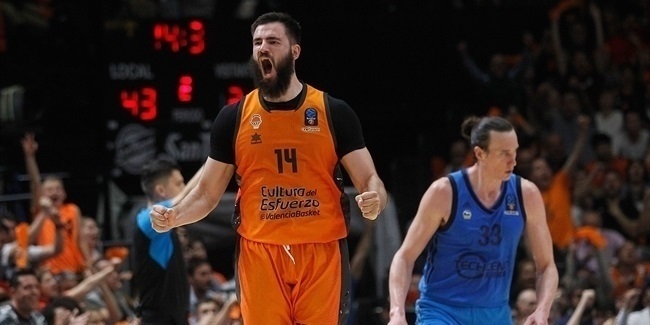 Under the glasses, as many as three players managed to pull 13 boards: Kanacevic, Shane Lawal of Dinamo Banco di Sardegna Sassari and Valencia's Bojan Dubljevic. Two players were the master passers of the week as both Dee Brown of CSU Asesoft Ploiesti and Marko Marinovic of Olimpija dished out 11 assists. Finally, Kenny Gabriel of Pinar Karsiyaka Izmir stopped as many as 4 plays from the opponent thanks to those many blocks, leading the rankings this week.